Footloose & Fancy opened in 1975 as the Birkenstock store. A few decades later, owners Jane and Matt Stricker made the decision to bring in clothing added "Threads" to the store's name. The retail store, and longtime downtown-staple, celebrated the five-year anniversary of Threads this fall with a sale event. Stricker said much has changed over the last five years, especially the store's retail growth. 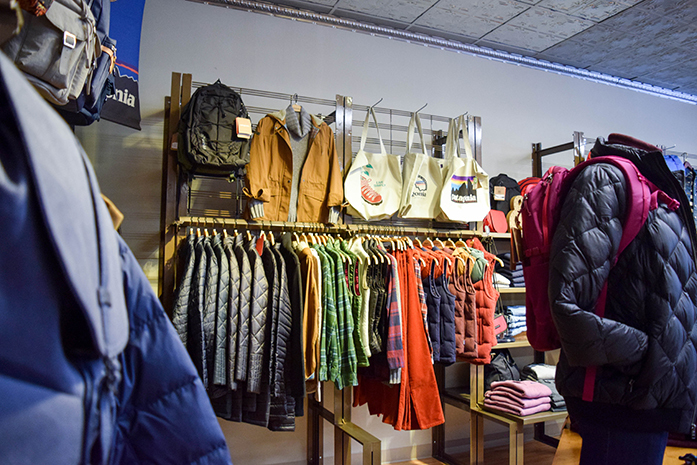 "We have grown to carrying over 15 clothing brands now," Stricker said. "Our biggest line of clothing is Patagonia. We have grown to be 50/50 mens and womens." Being located in downtown is a big part of Threads' identity. Stricker said there are plenty of benefits to their location, including having people from out of town visit the store. "Being so close to the University and carrying the brands students love has been great too," she said. "Being in walking distance for students without cars is important. I have always loved the vibe and hustle downtown's have." Stricker said she hopes to Threads continues to see growth and she has high hopes for the store's future. "[We hope to continue being] a staple of downtown Lincoln and bring in the best brands and selection," she said. "We want to be a store that people are excited to come in and see what's new often." As for the immediate future, Stricker hopes the community things of Threads and other small businesses when doing their holiday shopping. "We challenge people this holiday season to think local," she said.